Book lover today, YA librarian…some day soon! 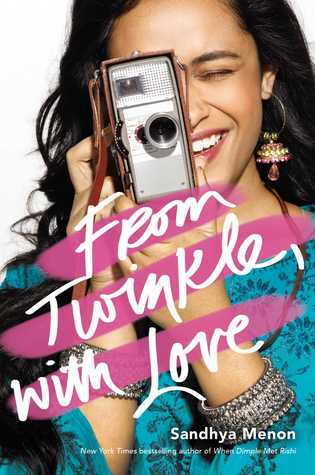 “Aspiring filmmaker and wallflower Twinkle Mehra has stories she wants to tell and universes she wants to explore, if only the world would listen. So when fellow film geek Sahil Roy approaches her to direct a movie for the upcoming Summer Festival, Twinkle is all over it. The chance to publicly showcase her voice as a director? Dream come true. The fact that it gets her closer to her longtime crush, Neil Roy—a.k.a. Sahil’s twin brother? Dream come true x 2. When mystery man ‘N’ begins emailing her, Twinkle is sure it’s Neil, finally ready to begin their happily-ever-after. The only slightly inconvenient problem is that, in the course of movie-making, she’s fallen madly in love with the irresistibly adorkable Sahil. Twinkle soon realizes that resistance is futile: The romance she’s got is not the one she’s scripted. But will it be enough? As much as I loved When Dimple Met Rishi, I am sad to say that From Twinkle, with Love was a shrug of a book. I do appreciate all of the nerdy references sprinkled throughout (definitely smiled at the Supernatural one), but there’s just not a lot going on here. To me, Twinkle didn’t undergo much character development over the course of the story. Nor was I very surprised by any of her choices. Maybe I was a bit surprised about how naive she was, but that’s about it. I feel like When Dimple Met Rishi had many more ups and downs, it wasn’t as straight-forward and, dare I say, bland as From Twinkle, with Love. And I actually feel a little bad writing these things because I think Menon is a good writer. This story just wasn’t for me. I will absolutely still read Menon’s future books, I just hope that the next ones have a bit more substance to them. Plus: I do appreciate the strong, feminist characters that Menon writes.And it has a pretty cute ending, I will say that. Minus: Just don’t get your hopes up too high, that’s all. It’s still a fairly cute story. 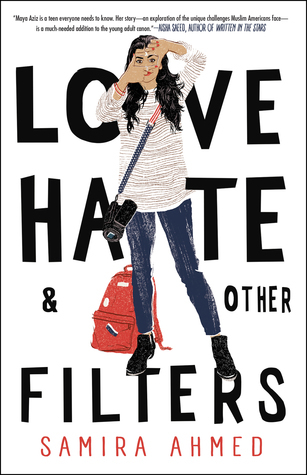 Love, Hate & Other Filters by Samira Ahmed- Not as light-hearted as From Twinkle, with Love, but it has many similar elements and it makes you think. “Miri Tan loved the book Undertow like it was a living being. So when she and her friends went to a book signing to meet the author, Fatima Ro, they concocted a plan to get close to her, even if her friends won’t admit it now. As for Jonah, well—Miri knows none of that was Fatima’s fault. Soleil Johnston wanted to be a writer herself one day. When she and her friends started hanging out with her favorite author, Fatima Ro, she couldn’t believe their luck—especially when Jonah Nicholls started hanging out with them, too. Now, looking back, Soleil can’t believe she let Fatima manipulate her and Jonah like that. She can’t believe that she got used for a book. 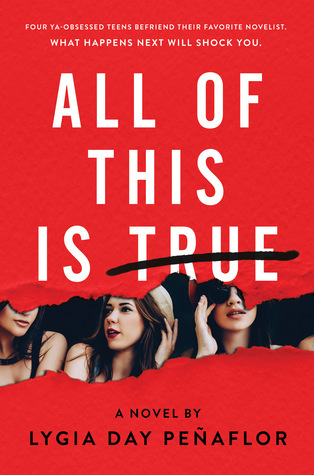 I wouldn’t say that All of This is True is exactly a good book…but it is definitely compulsively readable. 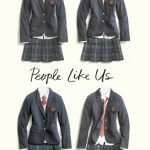 The plot doesn’t seem highly realistic- a famous YA author becomes friends with a group of teens in order to exploit them for her newest novel. But I think it is really appealing for those of us who are addicted to reality TV. It’s a very high drama story, kind of like reading a really long gossip magazine. There’s also a lot of appeal in the formatting. The story is told in small snippets- interviews with the girls involved, diary notes, and pieces of the scandalous novel- which makes it easy to digest. I read this over the course of about a day and a half and that was just because I had to go to work. You could easily read this in an afternoon. All of This is True is a bit dissatisfying in the end because you don’t really get any resolution to the story, in term’s of Jonah and Fatima’s story lines. I don’t want to give anything away, but if you read it, I think you’ll know what I mean. The book just kind of stops and that’s it. Plus: A juicy, quick read. 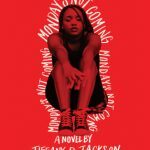 Minus: If you’re looking for a deeper message, this isn’t the book for you. 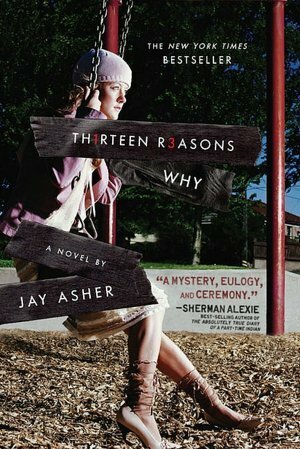 Thirteen Reasons Why by Jay Asher- These two books have nearly nothing in common in terms of plot, but Thirteen Reasons Why will give you the edge-of-your seat, fast pacing effect and story that will actually stick with you. “Lina is spending the summer in Tuscany, but she isn’t in the mood for Italy’s famous sunshine and fairy-tale landscape. She’s only there because it was her mother’s dying wish that she get to know her father. But what kind of father isn’t around for sixteen years? All Lina wants to do is get back home. But then she is given a journal that her mom had kept when she lived in Italy. Suddenly Lina’s uncovering a magical world of secret romances, art, and hidden bakeries. 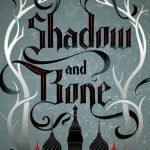 A world that inspires Lina, along with the ever-so-charming Ren, to follow in her mother’s footsteps and unearth a secret that has been kept for far too long. It’s a secret that will change everything she knew about her mother, her father—and even herself. And boy, did this one surprise me! The follow up novel, Love & Luck, was just recently published, so I thought I would finally try out the original…and I loved it! 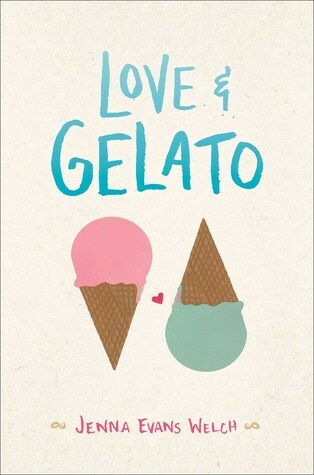 I can definitely be sucker for an overseas love story (Stephanie Perkins, I’m looking at you), but Love & Gelato really goes the extra mile here. Lina is kid of a mess, which I really appreciate, because it’s believable. Her mom died recently and she gets sent to Italy to live with the father she has never known. Who wouldn’t be kind of a wreck over that? The journal story line is a bit cheesy, but it was a good way to include her mother’s perspective. And the father story line seemed a bit predictable, but there were some interesting twists to it, which I appreciated. The only thing I had a genuine problem with is the timeline. The whole story seems to take place in like a week, which doesn’t seem plausible at all. But hey, it’s a small price to pay for such an overall good read. Okay, I take it back. My second problem is actually the cover. What’s with all these books with serious topics getting such cutesy covers? I know it’s a romance, but hello, her mom did just die…I don’t understand it. Plus: I love Italy and I love romance, so it’s a win-win. Minus: It really could use a better cover. 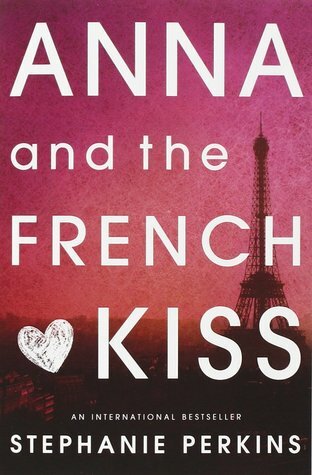 Anna and the French Kiss by Stephanie Perkins- Guysss. I know this is way too predictable of me, but I really do love this book. A romance set in Paris…you know you want to read it. “Leigh Chen Sanders is absolutely certain about one thing: When her mother died by suicide, she turned into a bird. THIS BOOK IS A UNICORN. If you love magical realism, heart wrenching contemporary reads, and the confusion of having a crush on your best friend, this one is for you. 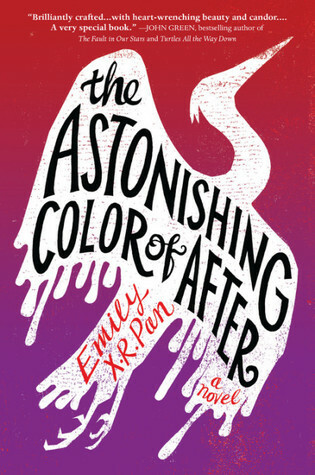 The Astonishing Color of After is told in a unique way, kind of backwards and forwards simultaneously. 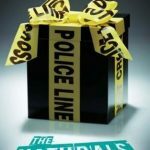 It starts with a punch- Leigh and her best friend kiss, then she gets scared by her feelings and runs home to find that her mother committed suicide. (None of that is a spoiler by the way, because they tell you that right in the synopsis.) How could this book become any more complicated? Leigh ends up traveling to Taiwan to meet her maternal grandparents for the first time- this is the story moving forward- but at the same time, she has these visions of her mother’s past. And we begin to get the background of Leigh’s friendship with Axel. Which makes you appreciate what happened on the first pages so much more. When the story first opens, you just think “Oh, she’s kissing her friend.” But then you get the story and suddenly you’re rooting for them, but the kiss already happened right at the beginning! I feel like I should almost re-read it knowing what I know now. This entire review has just been me restating the plot of the book, I do realize this. But that’s only because I am so enamored, that I really have nothing more to say than you need to read this book and see the magic for yourself, honestly. Plus: EVERYTHING. It will tear you into tiny pieces and rebuild you into a better human. Minus: It’s heavy, but it’s so, so good. Do not let the subject matter hold you back from reading it. It’s all worth it, I promise. 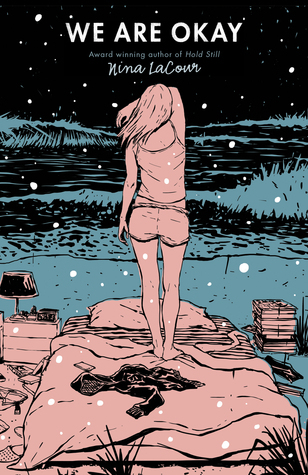 We Are Okay by Nina LaCour- Another unfolding tale that beautifully depicts loss, depression, and being more than just friends. 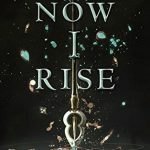 “Raised to be a warrior, seventeen-year-old Eelyn fights alongside her Aska clansmen in an ancient rivalry against the Riki clan. Her life is brutal but simple: fight and survive. Until the day she sees the impossible on the battlefield — her brother, fighting with the enemy — the brother she watched die five years ago. Faced with her brother’s betrayal, she must survive the winter in the mountains with the Riki, in a village where every neighbor is an enemy, every battle scar possibly one she delivered. But when the Riki village is raided by a ruthless clan thought to be a legend, Eelyn is even more desperate to get back to her beloved family. I thought this book was going to be historical fiction/fantasy. I guess it could maybe loosely be considered historical fiction…the culture and societal structure seems to be based on Vikings? But there really is no fantasy element whatsoever, which was a big disappointment. In fact, most of the story was a disappointment. What we get is a long, drawn out narrative about a girl who discovers her brother didn’t die and then, surprise surprise, she ends up making friends with the enemy tribe who saved him. I don’t even consider that a spoiler because if you read the above plot summary, well that’s the entire book. And you can save several hours and read something else instead. 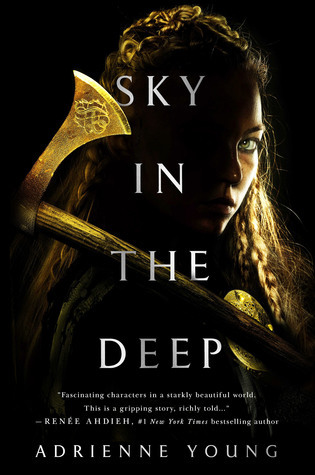 Maybe that’s not fair-Sky in the Deep isn’t bad, per say, but there really just isn’t anything special about it. All in all, you have a really cool set up, but the plot just never delivers. Plus: Vikings are such a cool basis for a YA novel. Minus: Do anything at all with the story! Seriously! Magic! Or Viking zombies! Just do something! 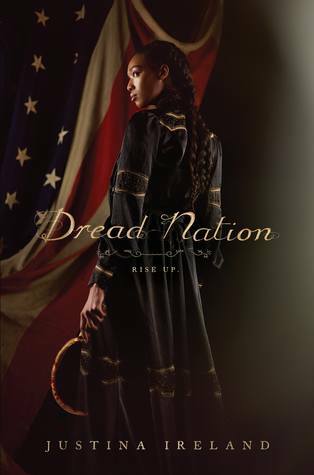 Dread Nation by Justina Ireland- The Civil War… but with zombies! Now that’s how you do historical fiction, my friends.